Hello I'm back to Hong Kong! I have finally completed an epic journey, and am ready to tell more stories again. I'll be going back and rewriting about my Silk Road trip in more detail, though there will be some Hong Kong new stories interspersed in between. In the meantime on the plane I watched a few movies. 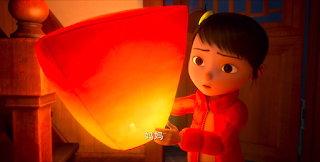 From Urumqi, Xinjiang to Beijing, I watched a full length animation feature called Little Door Gods. 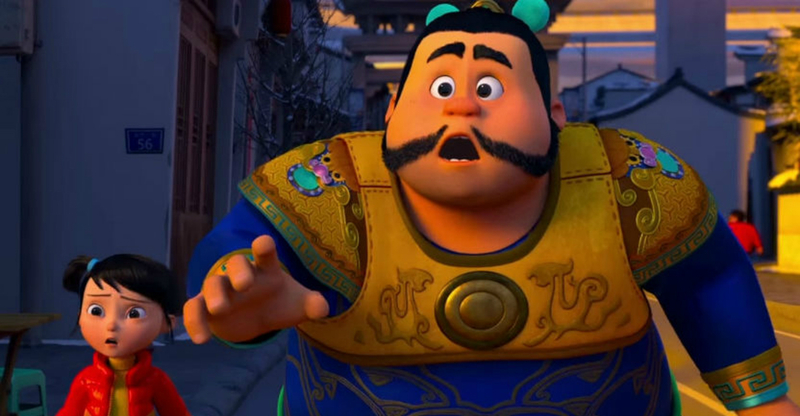 The premise is that all Chinese gods have lost their jobs because people nowadays don't believe in them anymore. They range from the God of Earth, Guanyin or Goddess of Mercy, Insect King, Wine God, Dragon Mother, and so on. They have to take retraining courses otherwise they will lose their job, except for the God of Wealth, who has spun himself into a DJ-like character who sits on a flashing casino-like pedestal and wears modern clothes. 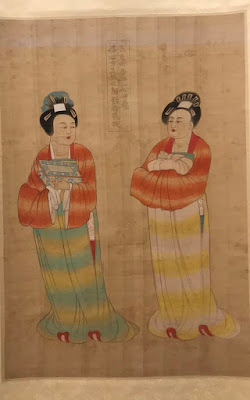 Other than the God of Wealth, the only other gods that seem to be able to keep their traditional jobs are the door gods, brothers Shentu and Yulei, though their popularity is waning. That story line is juxtaposed with today, featuring a girl called Raindrop and her mother who take over her grandmother's wonton shop. Raindrop encounters the two door gods in a wild adventure and she learns the importance of having Shentu and Yulei on your door. It's an amusing but also informative story with lots of action to keep kids interested. The evil monster Nian looks like a precursor to Te Ka in Disney's Moana, both looking like nasty wood-like characters, though both films were released in 2016. Perhaps even more intriguing is that Little Door Gods was distributed by Alibaba Pictures, eager to get into the cultural sector. 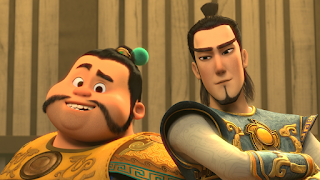 There wasn't any buzz of this animation feature that I know of in Hong Kong -- it would have had a decent play here, being kid friendly, though humour-wise it's not non-stop like The Lego Movie or hilarious like Moana with the rooster sidekick. Regardless we enjoyed it and are curious to know what else Alibaba PIctures has up its sleeve. It's already a good step in the right direction.